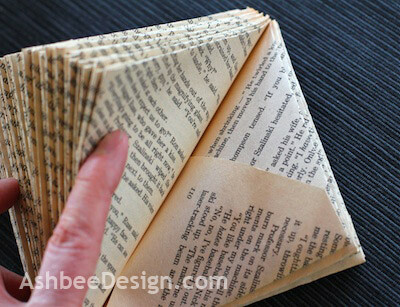 About a month ago I shared with you some examples of books altered by folding here and here. Those designs got my fingers twitching and I started folding. Over the past month I have completed a collection of folded forms. The process is soothing and the results exciting. Here is an arrangement in our sunroom. I love the color of the aged paper from old vintage books. And the solid geometrical forms created are in marked contrast to the softness of the texture. People just need to touch them. My second source is the book swap shack at our local transfer station. Rarely can I find much worth reading in there because it is always well picked over but some of the rejects work well in this project. I started by created simple single folds. 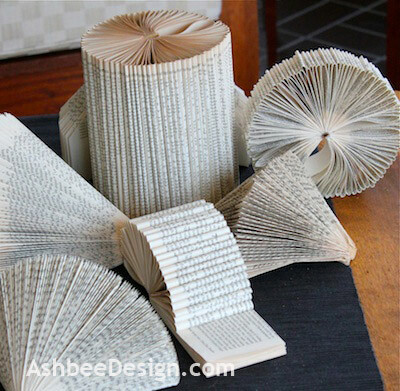 The tall cylinder was shaped by taking three pages at a time and curling them into the center. The other pages hold each in place and as you get more pages curled in, a tightness develops which keeps things together. No gluing required. In addition to curling I also creased the pages for some designs. The cone angled toward us is made just by folding each page singly over at a diagonal and creased. Other shapes are formed by completing a double fold and creasing. The fold above created this shape below. Of note - to get a complete 360 degree form with creased designs, I found I needed to combine two books. For the form below I got two identical books, folded both, removed their covers and glued them together. A single book generally creates a 180 degree shape. I found this true with books up to 600 pages. I haven't folded a fatter one yet. I experimented with multiple fold styles within a given book. The example below included six pages curled in vertically and creased and then six pages with the double triangular fold above repeated through out the book. I only made one like this because, although it creates an interesting shape unto itself, it added confusion to arrangements that were already filled with interest. It was one variable too many. Absolutely precision isn't necessary in the folding although I did try to keep things even and aligned. My experimentations didn't end there. Return tomorrow to see additional alterations I did for folded books. Possibilities are endless! 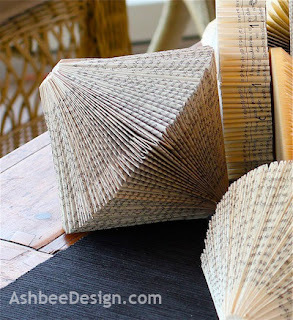 I never get tired of seeing interesting projects to do with old books! Thanks for sharing, found you via The Shabby Creek Cottage. 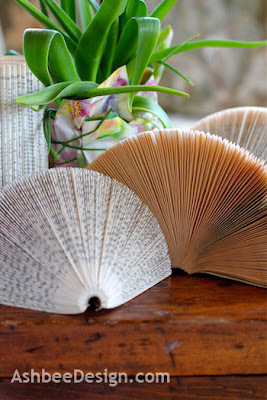 I have been collecting book art ideas on my Pages board at Pinterest. Check it out here for more ideas. http://pinterest.com/ashbeedesign/pages/. Thanks for visiting and commenting. 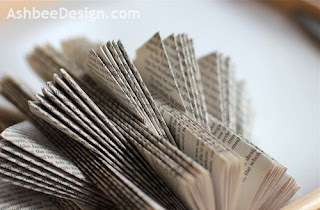 We used to make Christmas trees by folding books when I was a kid, never thought to use them as a design element today. They look great! Jenni, I have pinned some tree designs to create this Chritmas as well. I just love the simple forms with the added texture of the folded pages. We used to make door stops using old yellow pages when we were kids. Thanks for commenting. our readers would love to see 'm. Wow... I do love the foldings. I was on shopping one day and I found the centerpiece they have. Folding books. Great idea. Really enjoying your site which I discovered via Lifehacker. I'm especially looking forward to spending some time exploring all your book and letter themed ideas. What prompts me to comment, though, is my glee at seeing the picture of Travelers Restaurant. 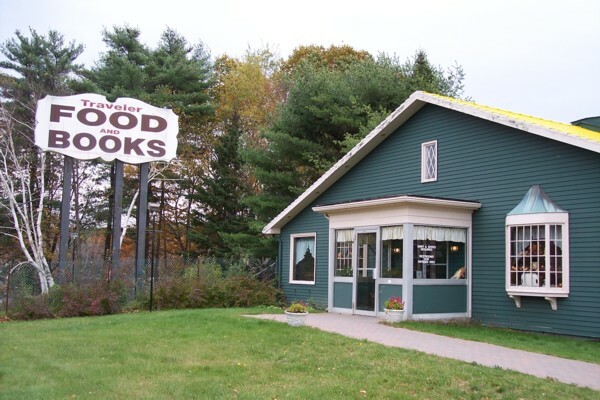 About 10 years ago, I stopped there during a trip to Boston and NYC. What I most remember is seeing my first chipmunk on the grounds. (I'm a Texan -- we have squirrels, far too many of them.) Off and on, I have wondered about the exact name and location of this restaurant/bookstore, but I had only vague memories of our route. As soon as I saw the photo, I KNEW that this was the place! Your description tells me it certainly is. Between confirming this odd memory and discovering your inspiring work, I am indeed having a lucky Saturday! 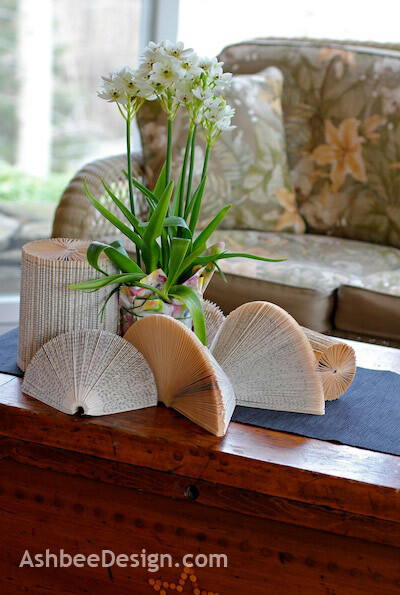 Welcome to Ashbee Design, Bonnie and thanks for sharing your memories. Glad to help identify a mystery of your past. The Travelers Restaurant is a unique kind of place. One always considers a trip a success when you get to experience one of those finds. Enjoy exploring my site. I hope you find other interesting tidbits as well.